2018 was another crazy season for fantasy football, filled with a lot of turns that nobody saw coming. It may seem like a lifetime ago, but Fantasy drafts for the 2018 season were just a few short months ago. In addition, the 2019 season is a lot closer than you think. One part of preparing for the 2019 season can be understanding some of the players that busted during the year to avoid repeating any future mistakes. 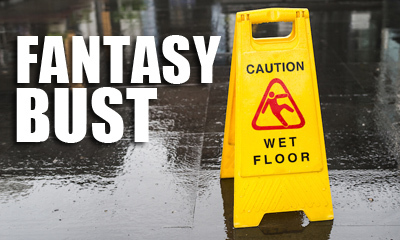 Before you jump into my top 10 fantasy bust list for 2018, you should know a fantasy football bust can hide in plain sight. Comparing season totals versus average draft position is only part of the process. Consistency plays a large part in whether a player was a headache throughout the year. A few big weeks can really skew the overall fantasy point totals. My focus was on looking at whether you could safely start a player every single week. If you couldn’t, that player likely didn’t do you all that much good. Consistency is key, and one of the more important facets I wanted to focus on. We’re looking at the 10 players who let you down the most while taking injuries out of the equation. 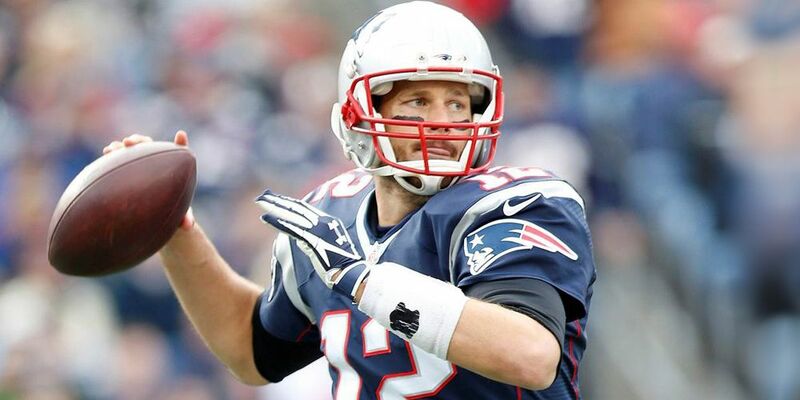 For years, you’ve been able to take Tom Brady early in drafts, lock up one of the best fantasy quarterbacks and be done with the position until the bye week hit. That looked like a great plan coming into this year again…until it didn’t. Some might say that it was Brady’s age as he turned 41 this season. It probably had to do with fewer opportunities, because Brady had his fewest attempts in a 16 game season since 2010. This also led to his fewest touchdowns since 2013, which resulted in Brady being a liability at the position this year. In comparison to the other top five quarterbacks on the season, Brady was scoring around three points fewer every game. Five quarterbacks who went at least 50 picks later out-scored Brady this season and on a more consistent basis. Even a player like Dak Prescott generally had a lower floor week to week than Brady, who had an eight-game stretch this year where he threw for a total of nine touchdowns. Of those eight, six games were one or zero touchdowns. That just won’t get it done in today’s fantasy landscape. Drake is one of the shining examples of why seasonal finishes can be a little misleading. In the case of Drake, it looks like he was drafted right in the perfect spot. The problem is, Drake was a roller coaster of incredible proportions. 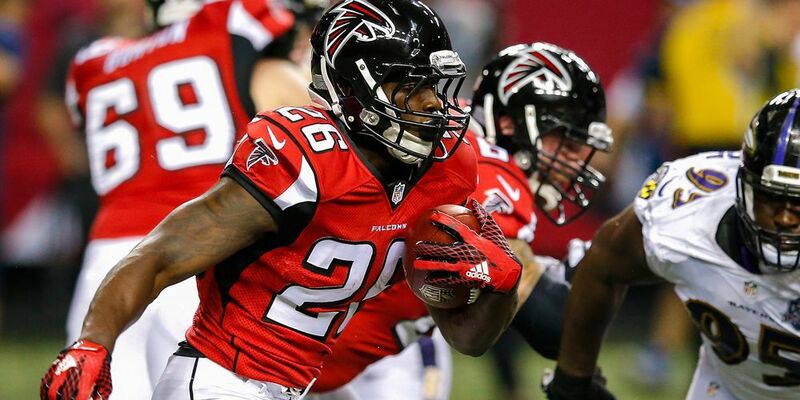 To start, he never exceeded 72 rushing yards in any game this past season. Drake did have 53 receptions to counterbalance the lack of rushing yards, but overall it just wasn’t enough. What hurts is the amount of snaps and touches he got every game, meaning the floor was terrifying every single week. On the season, Drake didn’t even play 60 percent of the snaps and only touched the ball 173 times. That’s barely double-digit touches per week as Drake was stuck in a frustrating committee with Frank Gore all year. In eight games in 2018, Drake didn’t crack 50 total yards, and five of those games were under 40. If you started him throughout that stretch, you likely lost that week in your league, only to be followed up by a game like he had against the Colts, where Drake had two scores with 96 total yards. With ex-head coach Adam Gase now in New York, the perception around Drake is going to be interesting. There’s a sound argument that Drake is not a workhorse back in the sense that he can’t carry the ball 20 to 25 times every week. Still, he deserves to be featured more than he was this past year since he racked up over 1,000 scrimmage yards on a very limited amount of touches. Diggs likely seems out of place on the surface because he played in a good offense and had quite a few games where he could have won you a week. 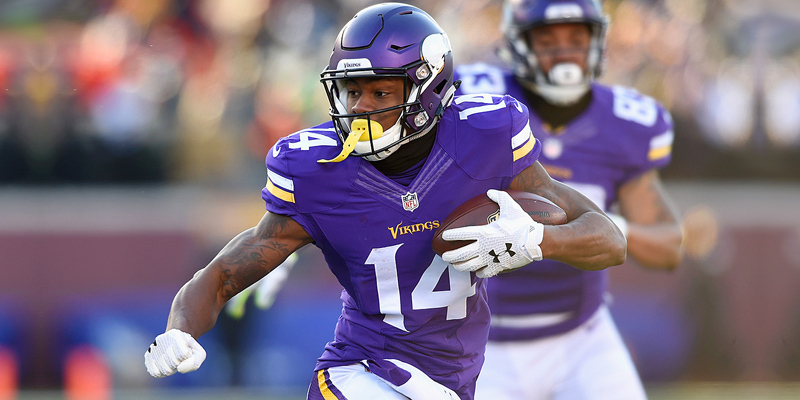 The young Vikings receiver just oozes with natural talent, and being part of the 1-2 punch with Adam Thielen truly helped both players throughout the 2018 season. The reason Diggs is here is certainly not how he finished, it’s the path he took to being the WR11 on the season because it was incredibly frustrating. Since Diggs and Thielen were the WR1A and WR1B in the Vikings offense, Diggs owners were left wanting some weeks while Thielen was posting massive games. Diggs did post nine games with at least 100 yards and/or a touchdown, which is obviously great. The issue became that he also had eight games with under 50 yards. The only thing that saved him in four of those games was a touchdown. The other problem with Diggs is you could never even consider benching him. When a player has 10 receptions for 119 yards and a touchdown in him every single week like he did against the Saints, the bench isn’t a question. That just led to a lot of 5/40/0 games while Thielen was tearing it up. Both receivers reaped the benefits of playing with each other because it was hard for the opposing defense to deal with both of them. There shouldn’t be much that changes next year with Diggs and Thielen splitting the load, so while Diggs is an excellent talent, understand he’s far more inconsistent than the numbers indicate. I’m going to give myself a small pat on the back for getting this one right during draft season because I truly wanted no part of Jimmy Graham in 2018, especially where he was going. It really seems like Graham might be a lot closer to the end of his career than anything else because this year just didn’t work out for him, and he’s now seen under 650 yards receiving in consecutive seasons. The biggest facet that Graham’s supporters assumed he would bring to the Green Bay offense was being a touchdown machine. That made a lot of sense with Jordy Nelson being in Oakland, but Graham ended the season with two more touchdowns than you or myself. The good news for Graham was he did finish second on the team in red zone targets. The bad news was he saw 10 targets while receiver Davante Adams saw a whopping 32, which equaled out to 43.8 percent of the market share from within the 20-yard line. Without the touchdowns to boost him up, Graham is a very run of the mill player. He was very nearly doubled up in PPG by the top four tight ends on the year. In fairness, Eric Ebron kind of came out of nowhere this season, but Travis Kelce, Zach Ertz, and George Kittle all lapped Graham, and the draft cost was well worth it for the top two. A shoulder injury in the preseason created one of the best bargains in fantasy for Kittle this year, but Graham’s days as a sure-fire top five option appear to be over. Jimmy Graham wasn’t the only Green Bay Packer to disappoint fantasy owners this year. 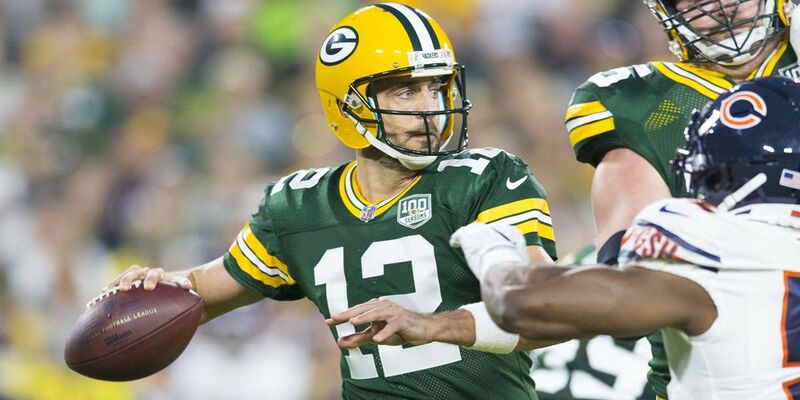 One of the fantasy mainstays for years has been Aaron Rodgers. If you took him early in drafts, you were almost promised either the QB1 or QB2 at the end of everything because that’s just what he’s always done. That was not the case this season, and maybe some of it came from being hurt during the very first game of the year. Khalil Mack and the Bears defense looked like they might have injured Rodgers for the season during Week 1, but Rodgers fought through it. The results were mixed to say the least. Rodgers only had two games this year where he threw more than two touchdowns and only four times did he eclipse 300 yards. Even at a sixth-place finish, Rodgers was no better than a streaming option through much of the season. Rodgers did finish sixth among quarterbacks, so he wasn’t a disaster. However, all five of the top quarterbacks went behind Rodgers in the draft since he was the first QB taken via ADP. Deshaun Watson went as the QB2 and he paid off for owners. The other four went 9th, 11th, 13th and 16th among quarterbacks, and that really winds up hurting on draft day. The other aspect of sinking a high pick into a quarterback is the position players that you leave on the table. Within eight picks, Mike Evans, Tyreek Hill, Travis Kelce and Adam Thielen all went. Just about all of those players were more consistent on a per game basis, and it’s a lot easier to find a quarterback than a tight end like Kelce. 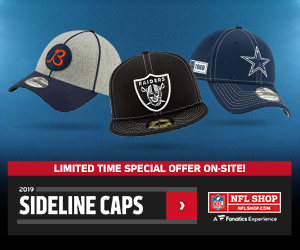 When a team like the Chicago Bears make a giant leap during one season, they tend to be viewed with rose colored glasses in the following year’s drafts. It’s not totally without merit as the Bears offense finished ninth in the league in points per game. Since Howard finished within the top 20, he might get that same rose glasses treatment the Bears do, and people might be willing to take him around that spot again. However, trying to figure out Howard was no picnic. Week 1 appeared to be a reward for everyone that stuck with Howard through draft season. He touched the ball 19 times for 97 total yards and had five targets. Considering the biggest fear through the draft process was Tarik Cohen stealing all the passing work, five targets seemed like a great sign for Howard. Well, Howard only saw 21 targets in the next 15 games, and then the touches were totally unpredictable on top of that. In fairness, he did rush the ball double digit times almost every game this past season. It’s just some weeks the double digits were 11 carries and other weeks they could be 24. Unless Howard scores, 11 rushes aren’t going to get it done. That was part of the reason he only rushed for a career-low 935 yards. There were only five games that Howard eclipsed 70 yards on the ground, and with a lack of passing work, that really hurts the floor. He did manage to find the end zone nine times which bolstered his final standings, but it’s very difficult to spend a pick on a player like Howard whose touches can be sketchy and has to score. By the looks of where Coleman was drafted and where he finished, he would be a nice value and doesn’t belong in this column. However, circumstances would tell you that Coleman actually had a very difficult season this year. Starting running back Devonta Freeman only played two games in the entire season, so folks who drafted Coleman kind of assumed they’d have a high-end RB2 once Freeman was done. That sort of happened since Coleman finished as a top 20 running back, but the road to get there was filled with craters. Despite not splitting time with Freeman, Coleman only got 11 more carries than he did in 2017. It was a little surprising because he did average a career-high 4.8 yards per carry. While that isn’t the be all, end all stat for running backs, that’s a very solid number and the Falcons just seemed wary of committing to him. He only had four games all season with more than 12 carries and it’s hard for any running back to be consistent with that amount of carries per game. Consequently, he only had three games with over 60 yards rushing and was a total albatross more weeks than not. Coleman ended up in a timeshare anyways, because Ito Smith carried the ball 90 times and they split red zone work almost dead evenly, 27-25 carries for Coleman. 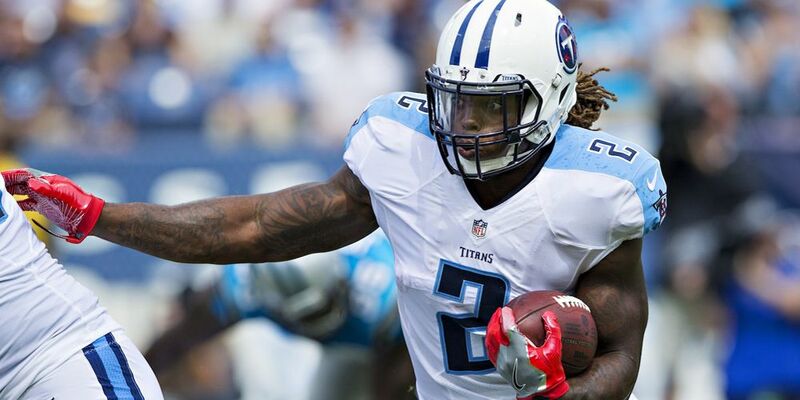 The running back is a free agent this year and seems likely to find a new home. It remains to be seen if they feel Coleman is worth 200+ carries this upcoming year. Not only did Allen fall short of his draft position overall, but his season was also grouped into three very distinct parts. The first eight games for Allen were immensely frustrating as an owner. Keeping in mind that the Chargers receiver finished off 2017 as basically the hottest player in fantasy, expectations were high for 2018. During the first eight games of the year, Allen crossed 75 yards just three times and found the end zone just twice. The touchdowns are to be expected with Allen because that’s just the style of player he’s always been. The issue was he only totaled 47 receptions, which would not have been on pace for even 100 for the season. Then came the cluster of a five-game stretch where Allen racked up 41 receptions, 444 yards, and five touchdowns. A massive chunk of that production came from the Steelers thinking it was a good idea to use linebackers to cover him (spoiler – it wasn’t) but it doesn’t matter to fantasy owners. All they care about is the numbers at the end of the day. Life was good until he injured his hip in Kansas City, gave you a goose egg in the all-important Week 14, and then limped to the finish. I don’t want to be too harsh on the finish because he didn’t seem to be 100%, but this is two seasons in a row for Allen where at least 6-8 games were very mediocre. It’s something that owners need to keep in mind and understand when they try to draft him for 2019. If there was ever a deceiving seasonal ranking, Henry is the poster child. I mean, things got so bad for him that he was under 50% owned throughout parts of the season. Not only could you not start him, but he also wasn’t even worth holding on your bench. That’s a top 40 pick that isn’t hurt that just wound up cast aside, and with good reason. 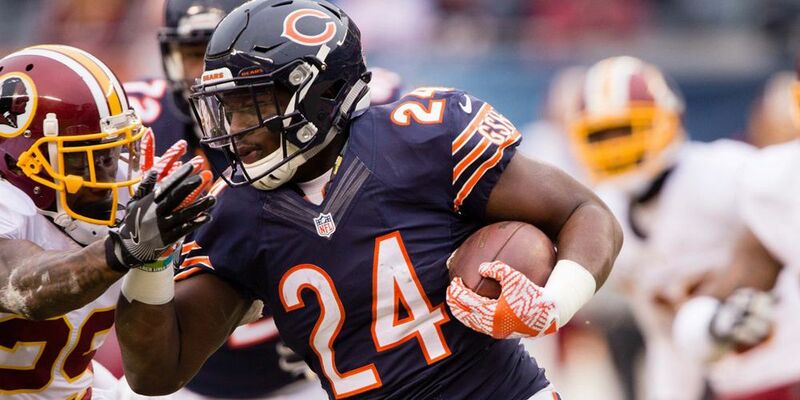 Through his first 12 games, Henry totaled a measly 474 yards rushing. The man barely would have cracked 600 yards and was only averaging 39.5 yards per game. That is putrid and fantasy owners all made the right call by dropping Henry. Then the last four weeks happened. The Titans played the Jaguars on a Thursday night in what appeared to be a very ugly game. Then Henry rolled up 234 yards rushing and four touchdowns while the Jaguars defense looked like a college unit trying to tackle him (well, they kind of tried to tackle him). Henry looked like the Heisman winning back at Alabama that night and it changed the course of his season. The next three games saw him total 347 yards and found the end zone three more times. The Titans are on their fifth offensive coordinator in five years and Henry should not be viewed as a top 20 back heading into 2019. I’m not going to lie, I fell for the Gronkowski Trap during draft season. I almost never take Gronk early, but for so much of draft season, he was going too late. Personally, the 22nd overall felt like it climbed late, because for a lot of draft season it seemed like he hovered around 26-30 overall. With the suspension of Julian Edelman for the first four games, I thought Gronk would be so heavily relied upon and such an advantage at the position, he was worth the draft cost. I was terribly wrong and Gronk was one of the biggest busts on the year. Coming into the season, Gronk had played in double-digit games six times. Five of those seasons, he scored double-digit touchdowns and the sixth season saw him score eight times. He found the end zone just three times this year, which has always been the biggest weapon in his arsenal. For some odd reason, Gronk was non-existent in the red zone. He only saw eight targets in his 13 games in the regular season and that truly makes little sense. Was he double and triple teamed? Assuredly, but it’s not like teams just figured that strategy out this year. Even if you just look at the PPG, he would be the eighth best tight end behind the likes of Jared Cook and O.J. Howard. It might be all moot if he retires, but the days of Gronk dominating his position appear to be in the past.